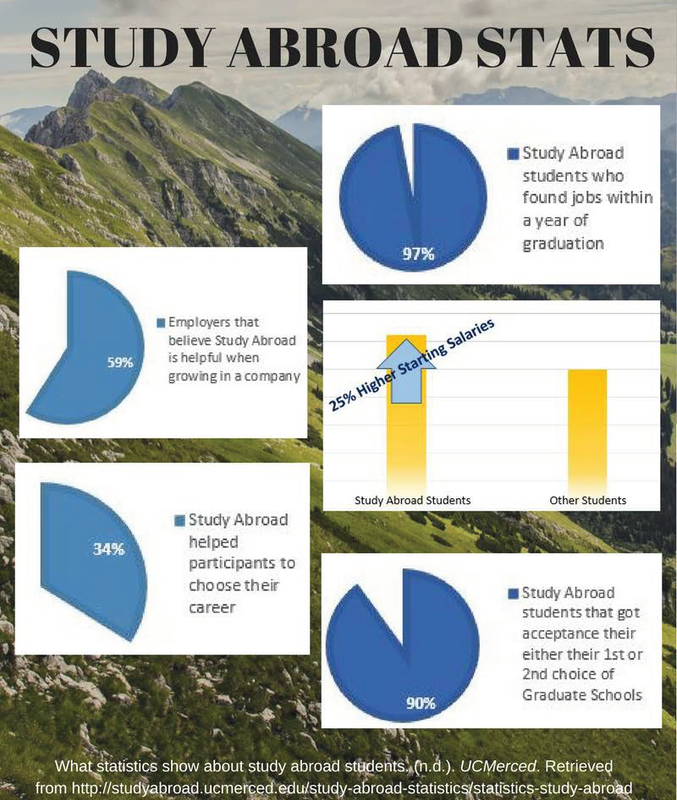 We have highlighted some important skills and statistics in regards to study abroad programs. There are also a list of resources below that can give a deeper insight into the benefits. 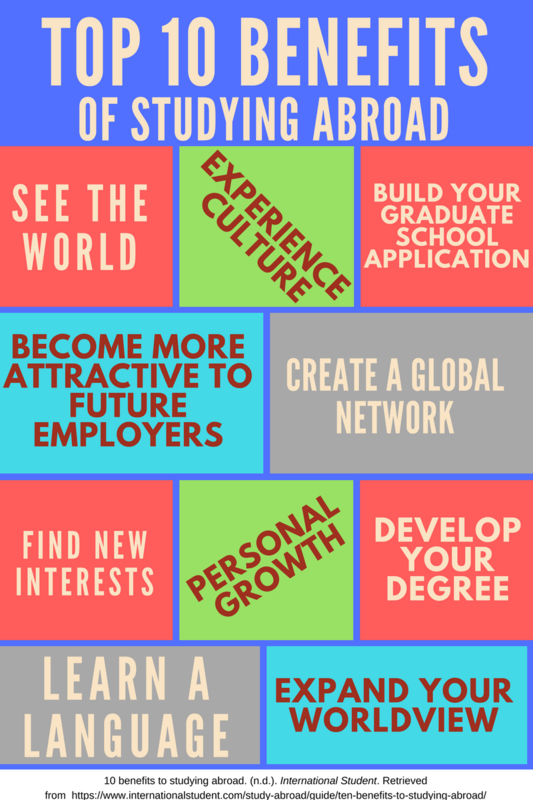 In order to maximize your growth after a study abroad experience, it is recommended that you reach out to the UIU Career Development Office.